If left untreated, Graves' disease can cause serious health problems. Unfamiliar with this relatively common autoimmune thyroid disorder? Read here about its symptoms—which range from fatigue to sleeplessness to diarrhea—as well as its diagnosis and treatment. At the center of Graves' disease is an overactive thyroid gland (hyperthyroidism). Graves’ disease is up to eight times more common in women than men. It can present at any age, but it peaks between 30 and 50. People with other autoimmune diseases—rheumatoid arthritis, type 1 diabetes, lupus, and celiac disease, for example—are at increased risk. Graves’ disease is an autoimmune disease in which the immune system produces an autoantibody called thyroid-stimulating immunoglobulin (TSI). TSI attaches to the thyroid gland, mimicking thyroid-stimulating hormone (TSH) and stimulating the thyroid to make too much thyroid hormone. While not fully understood, Graves’ disease appears to involve genetic and environmental factors such as viral or bacterial infections. The heart: Including blood clots, stroke, and heart failure. The eyes: Graves’ orbitopathy (GO), with double vision, sensitivity to light, eye pain and, rarely, loss of vision. 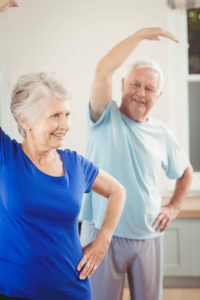 Musculoskeletal system: Breakdown (catabolism) of muscle and bone leading to muscle pain, wasting and weakness, osteoporosis (thinning of bones), and fractures. Some people develop swelling of hands and clubbing of fingers. Reproductive system: Disruption of the menstrual cycle, and infertility. In pregnancy, it can cause health problems in the mother and baby. Neurological system: Insomnia, depression, emotional instability, confusion, and seizures. Skin: A condition known as dermopathy may develop with symptoms including warm, moist, fine skin, sweating, fine hair, alopecia, and pretibial myxedema—an orange-peel appearance of skin of the shin, which, in its most severe form, becomes “elephantiasis,” a severe swelling of the lower legs and feet. Thyroid storm or thyrotoxic storm is rare but can be fatal. It occurs during times of acute stress—during surgery, trauma, or infection, for example. Symptoms include high fever, fast heart rate, nausea, vomiting, tremors, anxiety, agitation, and psychosis. If untreated, the sufferer may pass through confusion, loss of consciousness, or coma. Rarely, it can result in death. If your doctor suspects you may have Graves’ disease, he or she will take a medical history, perform a physical examination, and order blood tests. Blood tests will reveal elevated thyroid hormone (T4) and TSI in blood. You may be referred to an endocrinologist and an ophthalmologist for further testing. Other tests include a radioactive iodine uptake test or thyroid scan. Radioactive iodine is injected into the blood and, if large amounts collect throughout the thyroid, Graves’ disease is likely. Broadly speaking, there are three options for treatment of Graves disease: radioiodine therapy, medication, and surgery. Your doctor will recommend the best option for you. Radioiodine therapy: In this form of treatment, the patient takes radioactive iodine orally in capsule or liquid form. Dosage is low so it doesn’t usually affect other tissues of the body. In the long term, many people develop hypothyroidism (underactive thyroid), which can be treated with thyroid hormone replacement. Radioactive iodine is not suitable for pregnant women or those breastfeeding, as it can harm the fetus or baby. Medication: Options here include the following. Beta blockers are used to treat some of the symptoms of Graves’ disease, including trembling, fast heartbeat, and nervousness, but they do not affect the course of the disease. Thyroid surgery: Often a last resort, thyroid surgery is reserved for people with large goiters or pregnant women not responding to medical treatment. Anti-thyroid medications are usually prescribed before surgery to prevent a thyroid storm. The surgery causes instant hypothyroidism, requiring lifelong thyroid hormone replacement and monitoring. The characteristic bulging eyes of Graves’ disease is seen in about one third of sufferers. This is caused by the immune system attacking and causing inflammation and fat build-up in the soft tissue and muscles around the eyes, causing the eyeballs to bulge out. Rarely, this is is so severe that it damages the optic nerve, causing vision loss. According to NIDDK, Graves’ ophthalmopathyis often is accompanied by unpleasant symptoms: Dry, gritty, and irritated eyes, puffy or retracted eyelids, double vision, light sensitivity, pressure or pain in the eyes, trouble moving the eyes. The good news is that only 5 percent of people develop severe eye symptoms. Also, it’s usually a self-limiting condition, with recovery after two years or so. The risk and severity is increased in smokers, just one of many reasons to try and quit. Mild cases of GO often respond well to simple eyedrops. Steroid drops may be prescribed for short periods if pain and swelling worsen. In severe cases, an antibody treatment called rituximab may be prescribed. As for light sensitivity, wearing sunglasses and avoiding bright lights can help. Lenses may be prescribed if double vision is an issue. Some people find that their eyes don’t close fully, so they may need to tape them shut at night. Surgery and radiation therapy are needed only when the optic nerve is compromised. It make take time for hormone levels to be normalized during treatment, and you’ll need lifelong monitoring of thyroid hormones, blood count, glucose, cholesterol, and liver function. Err on the side of caution if you get sick, and see your doctor if you’re worried that symptoms are worsening. Sometimes people with Graves’ disease need to avoid iodine-rich foods such as seaweed or iodine supplements. Talk to your doctor if you start any new medications, including over-the-counter meds or supplements. 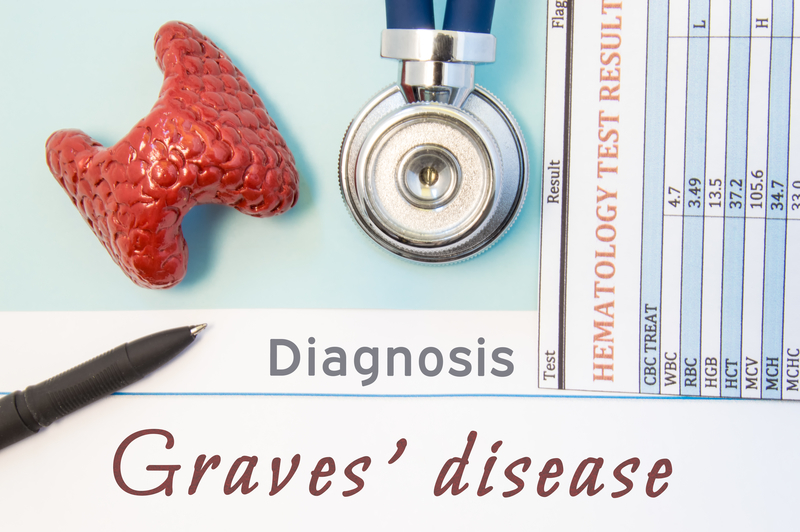 There is no screening or genetic test for Graves’ disease, but it is prudent to inform family members of their increased risk and to warn them of the symptoms to watch. allergic reactions, Alopecia, anxiety, arthritis, beta blockers, blood clots, bone, bowel movements, breastfeeding, celiac, celiac disease, cholesterol, depression, diabetes, diarrhea, digestive, eye pain, eye symptoms, glucose, graves disease, health, health problems, heart failure, hormone, hyperthyroidism, hypothyroidism, immune system, infection, infertility, inflammation, insomnia 2, insomnia depression, iodine, iodine supplements, Jaundice, light sensitivity, lupus, menstrual cycle, metabolism, muscle, muscle pain, natural treatments, natural treatments for, nervousness, optic nerve, osteoporosis, pain, radiation, radiation therapy, recovery, rheumatoid, rheumatoid arthritis, side effects, skin, stress, stroke, supplements, the menstrual cycle, thyroid, thyroid hormone, tiredness, trouble sleeping, type 1 diabetes, underactive thyroid, underactive thyroid symptoms, what is hashimoto s disease. I thought you might be interested in this article on https://universityhealthnews.com: Graves' Disease: Do These Symptoms Sound Familiar?